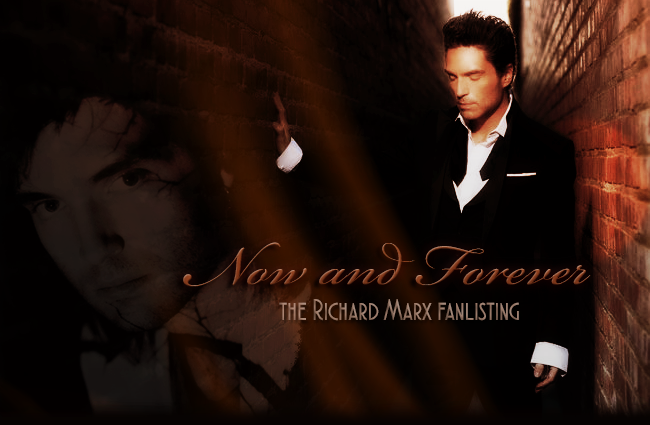 You've reached Now and Forever, the fanlisting for songwriter, singer and producer Richard Marx. I put songwriter first, because he has said he'd like to be called that before anything else. Approved by The Fanlistings Network in the Musicians: Male category. Part of the Fandom Savant collective.